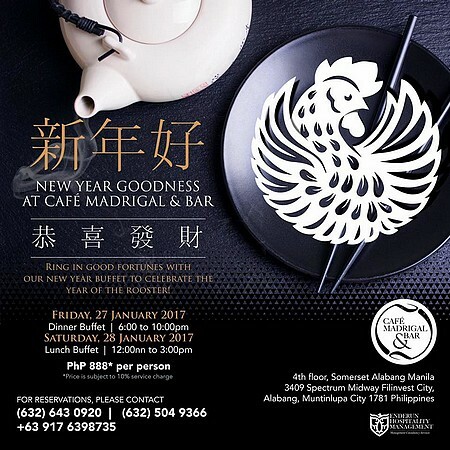 Join Crimson Hotel's festivities on the coming Chinese New Year on January 29! Have a feast of authentic Chinese dishes in the Chinese New Year Sunday Brunch Buffet for P1,588 per person. Feng Shui Expert Mr. Joseph Chau will also be giving his 2017 forecast. Watch troupes of colorful dragon dancers bring in good luck and drive negative energies away. For inquiries or reservations, call 0917-839-0313 or 863-2222 local 1612.